An unnamed executive at the studio behind Destiny and the first few games in the Halo series woke up early Thursday morning very confused about why there was a helicopter above and police officers surrounding his home. It turns out the Bungie executive had been swatted. 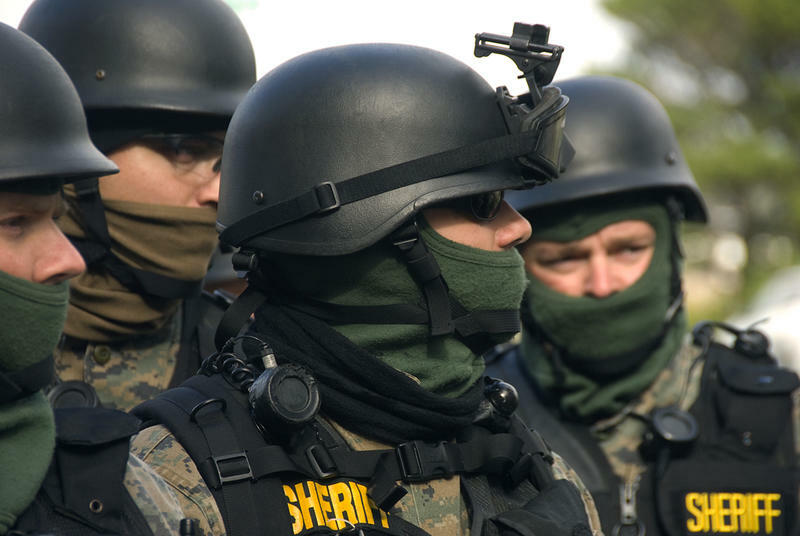 The exec is the latest in a string of incidents known as swatting: Someone places a false call to police, reporting the sort of emergency situation that would require a SWAT team. Hostages, murder, and bomb threats are some of the more common ones. This results in the local police force sending a team to the location of the unsuspecting victim to investigate the threat. The person inciting the swatting gets a laugh, or maybe proves a point that no one knows but them. The victim and officers involved are both put at risk of injury or death. The officers think they're going into a dangerous situation and are prepared to react, while the victim is put unknowingly into the situation and may react unpredictably. Even if no one is hurt, the city subjected to these false calls has now wasted money sending an emergency squad to a non-emergency situation and, even worse, they've committed resources to one situation when there may have been another that required real response, putting even more lives in harm's way. In the case of the Bungie exec, the swatter reported that someone in the house had an assault rifle and had placed explosives in the yard, holding the family hostage on a $20,000 ransom. The only thing anyone in the house was hostage to, of course, was sleep. Maybe snoring. The police eventually determined that the call didn't come from inside the house, since this isn't a cliche horror movie, but rather came from a computer located elsewhere. The victim, according to a Bungie spokeswoman, is okay and not interested in discussing the incident. As for the swatter, Police have no real leads on who might've committed the crime. If the person is caught, they would face up to a year in jail, alongside a $5,000 fine. Most swatting we see reported on occurs within the gaming community, though not usually to executives. The common thread this executive has with the usual victims is being a visible person for whom the swatter can see the public reaction. Usually, the victim is someone streaming on Twitch. A similar incident occurred this year when a commercial airplane with a Sony executive was falsely reported to have a bomb onboard.